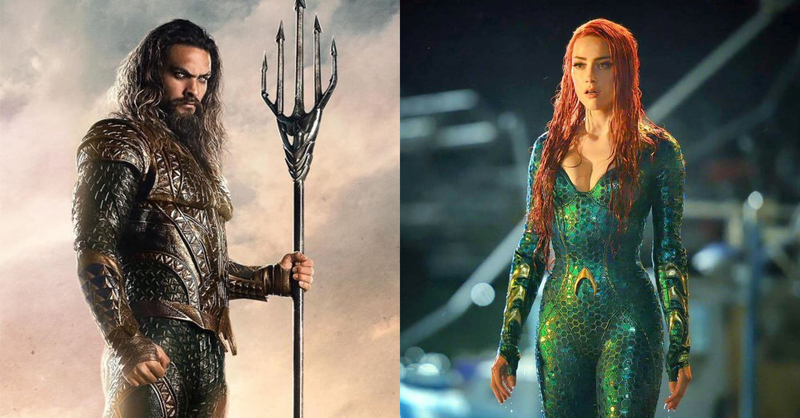 Home Movies Aquaman’s Jason Momoa and Amber Heard are coming to Manila! Mark your calendars this December DC fans! Time to get hype DCEU fans! Aquaman is coming out this December; and to promote the movie, Jason Momoa, Amber Heard, and the director James Wan are embarking on a multi-city tour to bring the film to DC fans all over the world. The tour has stops in major cities such as NYC, London, and even Manila! Yes, you read that right, Jason Momoa and Amber Heard are coming to Manila this December! The two Aquaman stars and the film’s director will be in Manila this December 11 for the film’s Asian premiere and an exclusive fan event. This is great news for Pinoy DCEU fans, as well as Filipino superhero movie fans in general. Usually, Asian premieres for superhero flicks take place in other Asian countries; the fact that Aquaman will have its premiere can lead to even more big movie events in the country. Of course, meeting Jason Momoa and Amber Heard is great too! Aquaman will be released in theaters in the PH on December 21, 2018. Next articleUniqlo X Alexander Wang Heattech collection hits stores today!